Jackets are an inseparable element of a moderate climate. It is worth considering your purchase, not only in terms of fashion, but more importantly in terms of usability. The jacket should warm us, but not overheat. Therefore, quality and performance are key aspects when choosing the right cover. Store offers usually focus on either cut or quality. It is worth catching the right balance. 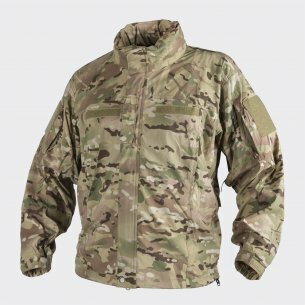 Park jacket was created in America for the needs of the army. It was designed for unfavorable and difficult Arctic conditions. Its appearance changed over time and today we can meet it in the form of a jacket with a fish tail and a large, warm hood. The world fell in love with military design and quickly people around the world appreciated the quality and style of the park. Functional and convenient solution is always on top. In Poland, the park's jacket flourished in the 1980s. To this day, every few seasons, it appears on the catwalks. The men's parka usually comes in olive color, which fits perfectly with the rest of the outfit. The designers knew exactly what to do to make their project meet the army's expectations. Currently, there are more or less park-like parks on the market. Therefore, special attention should be paid to the company and the materials used. 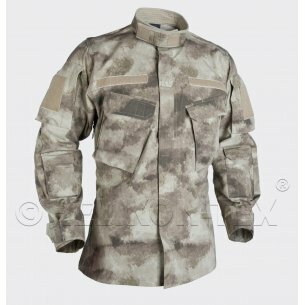 Jacket helikon-tex helikon-tex parka was made by the helikon-tex company, which started with the sale of a military demobil, and currently has its own production of military and paramilitary clothing. It is therefore a product of the highest quality. Jacket helikon ecwcs gen I primarily has a two-way zipper which is made with the utmost care - it does not stutter and goes very smoothly. It has, among others, two internal pockets and two external pockets. In addition, a small pocket on the sleeve will provide us with a safe space for telephone or money. Windbreak effectively protects against strong gusts, and the large hood will protect the neck and head from the cold. Velcro on the sleeves help to regulate the length. The jacket is ventilated under the arms, which prevents overheating. The seams are invisible and intricately glued. Attention to every detail provided the ecwcs gen I model with high popularity among people who require above all good quality. Convenience and high resistance to weather conditions are undoubted advantages. 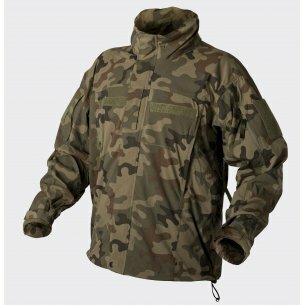 The etx helicon jacket is available in several variants and sizes. It is worth measuring chest circumference and length of torso before purchase. This will ensure that the product is properly adjusted. Available sizes from XS to 3XL make it easy to make the right choice. ecwcs helicopter jacket I gene jacket is available in green olive color which is neutral and suits any type of beauty. Nylon ensures waterproofness at 10,000 mm and high breathability (8,000 g / m2 ^ 2 / 24h). All these parameters should never be ignored as they are responsible for the highest comfort and convenience in winter. The rain jacket is designed to keep our body at the right temperature and not allow moisture inside. A very important aspect is also that it breathes - in the same way as sports clothes. Our body emits a huge amount of water through the skin a day, which then evaporates. Thus, the lack of permeability would be equal to a real sauna. The weatherproof helicon tex is made of nylon - which works great in this role. Breathable material makes us warm but we do not sweat inside. Moisture escapes to the outside without causing a situation when we start to freeze in a small wind. That is why the materials used in the production of clothing for adverse weather conditions are so important. jacket helicon tex ecwcs gen I is a product worth recommending. The quality of workmanship and all parameters make up the product worthy of the US Army. Fashion passes quickly, while durability of the product should be counted in years. 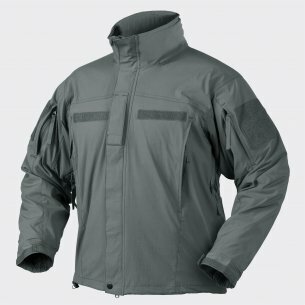 Men's jacket adapted to the activity can give great satisfaction and comfort of use. The price of the jacket is very affordable considering the quality of workmanship. The delivery from our store is fast and hassle free. It is worth investing in good quality things and be sure that no unpleasant surprises will spoil our exit to the forest.